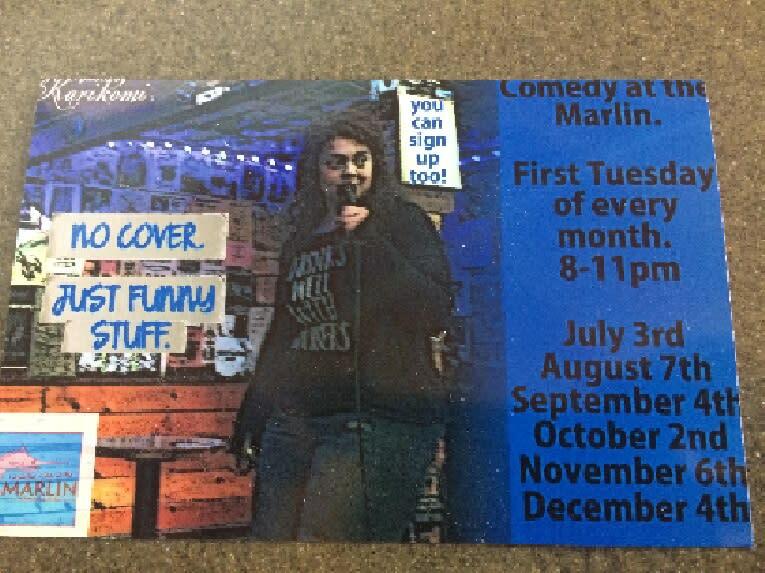 Stand-Up Comedy live at The Marlin first Tuesday of every month 8-11 PM. 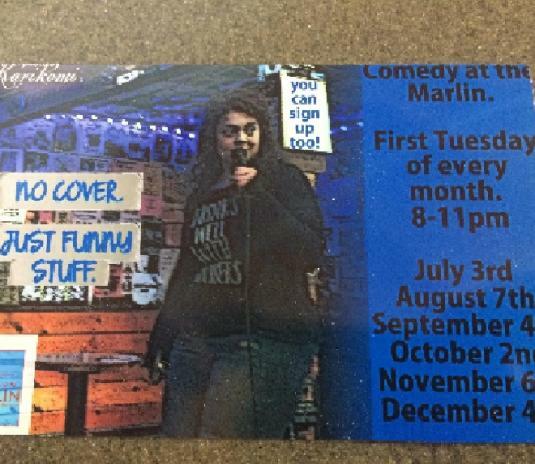 No Cover, just funny stuff. You can sign up too!